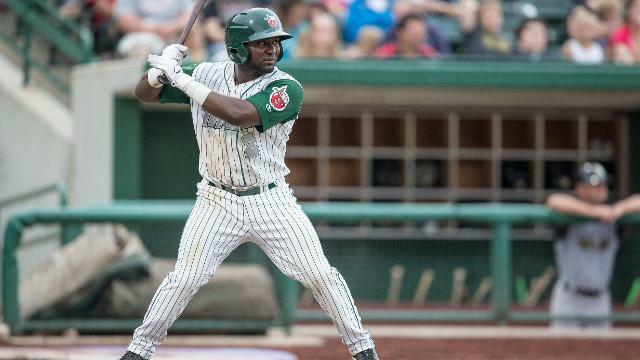 EASTLAKE, Ohio - The TinCaps overcame a four-run deficit once on Thursday night and came close to doing it a second time, but left the tying run at third base in the ninth in an 8-7 loss to the Lake County Captains at Classic Park. After falling behind 4-0 through two innings, Fernando Perez and Jake Bauers both hit two-out, two-run homers off Luis Lugo (8-9) in the top of the third inning to tie the game, 4-4. For Perez, it was his team-leading 15th home run of the season and third in two nights. Lake County (31-27, 58-70) regained the lead with two more runs against TinCaps starter Jeffery Enloe (4-6) in the bottom of the fifth inning. The Captains added two unearned runs off reliever Justin Livengood in the sixth to go up 8-4. Fort Wayne (26-33, 56-72) began its second comeback effort in the seventh with a two-run single from Ronnie Richardson. Nick Schulz then drove in a run with a groundout in the eighth that made it 8-7. With scoreless innings of relief from Nick Mutz and Jason Jester in the seventh and eighth innings, respectively, the TinCaps were in position to complete their comeback. Fort Wayne had reason to be optimistic when Trea Turner led off the top of the ninth against Carlos Melo with a double to the left-center field alley. However, Ronnie Richardson, who had three hits on the night, and Fernando Perez, the Midwest League leader in runs batted in (85), both struck out. Franmil Reyes grounded out to first base to end the game. Melo earned his third save of the season. The TinCaps remain 2.0 games back of Dayton, as well as Great Lakes, for the Eastern Division wild card. This was the third time in 12 days that Lugo and Enloe started against each other. On all three occasions, Lugo was the winning pitcher while Enloe took the loss. The middle game of Fort Wayne's three-game road series is scheduled for 7:00 p.m. Friday. In a matchup of right-handers, the TinCaps are prepared to start Ronald Herrera against Mitch Brown. The game can be heard on 1190 WOWO, TinCaps.com, and the TuneIn Radio app.